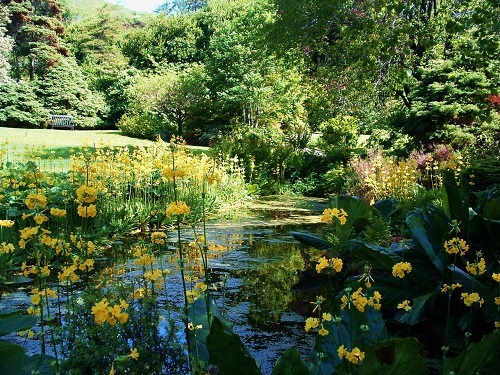 Arduaine Garden is famous for its collection of Rhododendrons, magnolias and azaleas established over the last century. There are many plant species from all over the world at Arduaine Garden which flourish in the mild climate of the west coast of Scotland. But not only this for there are herbaceous borders, lawns, great trees and plenty more to see in this 20 acre garden which is close to the sea. There are lovely views from the gardens and Crarae another National Trust for Scotland property is closeby. Arduaine Garden Worth visiting any time of the year. 2019 - National Trust for Scotland - Arduaine Garden open daily 9.30 - sunset. Disabled access. Refreshments locally. If you want to find places to stay near Arduaine Garden, why not stay in one of our recommended hotels. Look now for hotels near Arduaine Garden - click here.